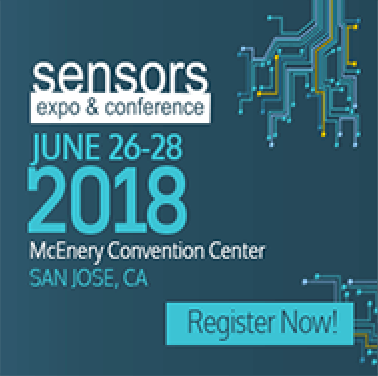 Would You Like to Speak at Sensors Expo? We’re Headed to Sensors Expo, and Here’s Why! In 2009, I was quoted in a press release stating “we're entering a new era where every device that can be connected will be connected to the Internet and other devices.” It was a very different time then. The buzz word ”IoT” didn’t exist. There were more M2M MVNOs than platform companies. And every company wasn’t yet looking to change its business model through digitalization. But as the market edged ever forward, and the world of connected devices matured, first movers created vertical solutions to address very specific issues. And in developing tools to improve their capabilities to accelerate the launch of a wide range of connected-devices and services, these vertical solution providers pivoted and expanded the horizontal capabilities of their applications and renamed them “platforms”. Somehow, with no proof, everyone in the software game seemed to be reading from the same script, thinking that a platform would provide a quicker time to market, enhanced customer experience, growth in subscriber and revenue levels, and an increased average revenue per user (ARPU). But as we learned at last year’s iteration of Sensors Expo, most of the Sensor companies don’t speak IoT and IoT gateway companies and connectivity providers don’t speak Sensor. But all of the companies, regardless of type, inappropriately interchange buzzwords like platforms, analytics, Big Data, sensors, and blockchain in their marketing messages, while not realizing they are just pieces of the puzzle. A week or two ago, I was speaking with a vendor and the topic of buzzwords – which buzzword would be next. And what we came up with is the fact that while the end game is contextualized information, the starting point is the sensor-application. Cheap, plentiful sensors are being widely integrated in the planet’s mobile and fixed infrastructures, each new sensor tied to an application which in time will generate a torrent of time-series data that will overwhelm all prior data volumes. And this is where things like analytics, Big Data, and blockchain reside. It’s where platforms will help drive scale and where scale will drive economics. Connectivity is like plumbing. And while we've begun to realize that connecting these devices is an incredibly complex process, we’ve pretty much figured out connectivity. But what the world hasn’t figured out yet, is while connecting a device is necessary, it’s connecting sensors and having sensor driven applications that is mandatory to drive value. So we’re headed to Sensors Expo to lead 2 days of panels and presentations, bringing both sides of the equation (the sensor and the IoT) together. Would you like to join the discussion? Do you have something interesting to say? Would you like to be put on the agenda? Please email us back. Let’s hold a discussion and see where you might fit.